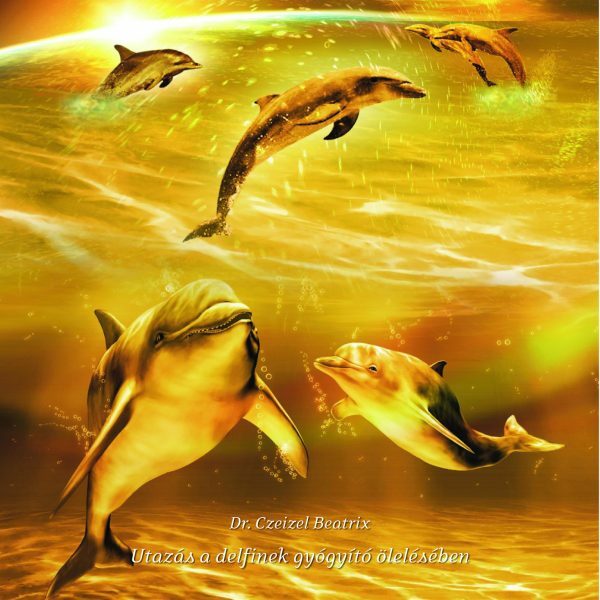 According to the teachings of the Stellar Nations the Dolphin beings belong to a community of galactic healers who heal by the power of the vibrations of the Christ Consciousness, by the energies of joy, love and in fact they heal with joy of the message of Redemption, through their exceptional intuitive and telepathic abilities. “In the beginning there was the Word” – the ancient, original Divine Voice, the code of all Life, which was conceived from the One Heart, the universal heart, and this Heart awaits all the life sparkles that started out on the 13 pathways of Creation and became individual beings. This is a universal message – it is the message of the Word – which becomes a healing code, because in reality all the pain and suffering can be traced back to one major cause. If a soul loses the feeling of this universal love at any point of the universe or its existence then it loses the faith and the inner experience of God and the Goddess’s love shining upon it, and a terrible gap, a seemingly incurable wound is created inside of it – the illusion of being separated, which is full of pain, and which becomes the real root of all suffering. The celestial and earthly dolphins become so wonderful and unique healers because the Creator has entrusted them with this voice – the sound of the heartbeat and the love of God and the Goddess towards all beings. They can give back the presence of the Creator’s love by the miraculous healing power of this sound, the experience that this love is always with us and it never ceases to shine upon us anywhere we may be and any life we may live. This meditation guides us through an inner path which can help us to heal the painful moments of losing faith, denying life, the feeling of abandonment, loneliness and depression with the healing presence and assistance of the beautiful-hearted galactic Dolphins.